but somehow it didn't seem like the end of the earth. 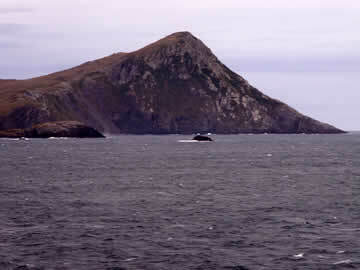 The ship circled Cape Horn in a counterclockwise direction, coming from the east. The pictures here show that trip in the order they were taken. 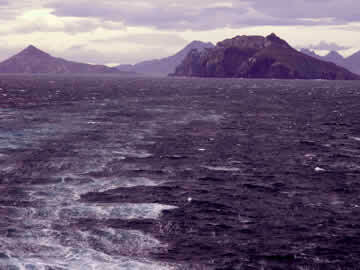 We approached Cape Horn from the north and east and circled around it in a counterclockwise fashion. 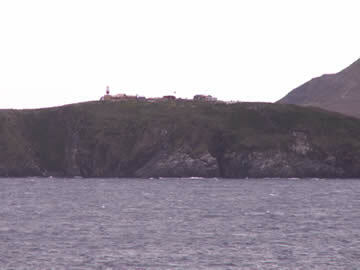 As we approached, on our port side, a Chilean military outpost became visible. This is where you go when you make your commanding officer angry. As we rounded the northwest corner the Cathedral became visible. These are a series of rocks, some with holes through them where the tide flowed back and forth. 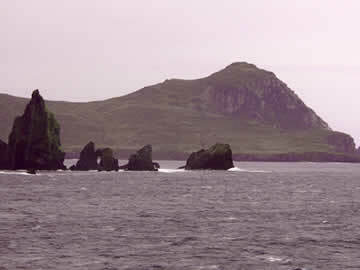 The third shot is a western view of Cape Horn. 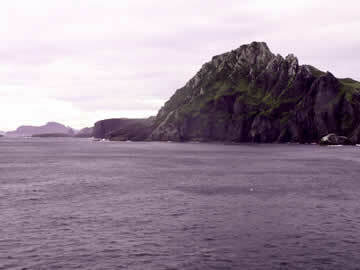 Finally, this view of the terrain to the northwest of Cape Horn shows how wild this place can seem. This was an exceptionally calm day and we could see where wind sailors would really fear this place. Of course we also saw a sailboat in these waters - some people are just crazy. 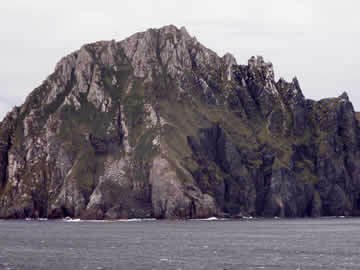 The picture at the top of the page was shot due south of Cape Horn. 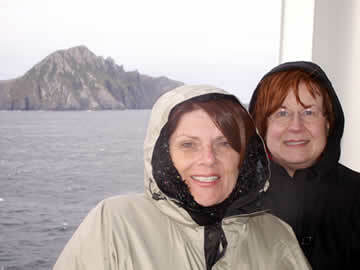 This shot of Patty and Ellen was taken just after we had past Cape Horn and were headed back east. Finally we were leaving and heading to Ushuaia, Argentina. This is the last shot as we were moving east of Cape Horn.